Stem cells are used in a variety of medical fields in order to provide a natural means of cellular renewal and tissue repair in the body. Most recently, stem cells have been recognized for their remarkable results in facial rejuvenation. 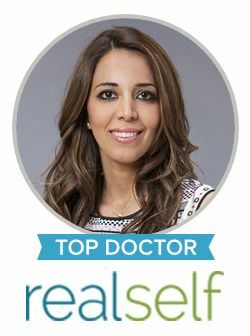 Dr. Sanaz Harirchian is proud to stay at the forefront of face and neck surgery, which means she is trained and qualified to offer a non-surgical facial rejuvenation treatment using the power of regenerative medicine. She recognizes the careful blend of science and artistry it takes to create beautiful, natural and long-lasting results using a stem cell facelift and platelet-rich plasma. A stem cell facelift has the ability to add volume back to the face and improve the texture, tone and elasticity of the skin that has diminished over time. It works by using the patient’s own harvested stem cells to stimulate collagen production and cell migration within the facial tissues. Unlike a traditional facelift where loose skin is removed or soft tissues are lifted, a stem cell facelift triggers the body’s natural tissue repair process to eliminate or reduce wrinkles and improve skin quality. A rejuvenated, youthful and balanced appearance can result. Stem cell facelifts are ideal for patients who do not want to undergo plastic surgery but want a more favorable alternative to synthetic fillers and injectable. Furthermore, the stem cell facelift using platelet-rich plasma is known for producing more sustainable results than simply using injectables or lasers alone, although these non-surgical treatments can be paired with a stem cell facelift for more dramatic results. Platelet-rich plasma (PRP) is blood plasma that houses concentrated platelets, leukocytes and growth factors that can stimulate collagen production, skin renewal and tissue regeneration. This brings unrivaled advantages in terms of addressing facial aging. PRP is a popular stem cell facelift approach due to its ability to improve volume loss, reduce wrinkles and address photo-damaged skin. Only a small amount of blood is needed to obtain platelet-rich plasma and separate these concentrated platelets and plasma from the whole blood. Dr. Harirchian gently and strategically injects the patient’s PRP into targeted areas of the face. It is a minimally invasive procedure that is typically quick and painless. In addition, PRP injections and stem cell facelifts require only minimal downtime. A natural healing process with progressive collagen building is expected to occur over the following weeks or months after your treatment, revealing a more vibrant and beautiful you. To learn more about this innovative approach to non-surgical facial rejuvenation using a stem cell facelift, please contact our office today to schedule a consult with Dr. Harirchian. We are proud to offer state-of-the-art techniques to help patients reclaim their youth in the most natural and safest way.